As you may already know Google recently changed the Keyword Planner Tool a little bit and if you didn’t like it, you probably need some alternative. I used to be a fan of the original G’s tool, but I found really nice keyword research tools and in my last comparison they were a lot better than the Keyword Planner. And I’m not talking here about the fact of not showing the exact monthly keyword search volumes. The other tools (especially WordZe) gave me a lot better suggestions. Make sure you read this to the end because you gonna love what the SEO extension does to some of the tools and it’s good to check all of them to get creative and profitable keyword ideas. WordZe, in my opinion, is the best free keyword research tool out there. It shows monthly keyword search volume, CPC, traffic value, PPC competition, trending and there is related available domains checker. It gives you really great suggestions and you can go deeper and get long-tale phrases of each of them with a couple of clicks. The long-tail feature offers you several search engines: Google, YouTube, Bing, Amazon and eBay. You can export your desired keywords to .txt and .CSV files, which is very helpful. KW Finder.com is another nice keyword tool alternative you can use for free. An awesome thing about it is that besides the keyword search volume and suggested keywords, it also shows keyword difficulty and top 10 competitors along with instant competition link analysis. The downside is that you need to upgrade to get the full list of keyword ideas, but you can get those from WordZe. The features mentioned above are great and they make this tool one of my favorite alternatives to keyword planner, boosted with additional helpful data. Oh, and it shows trending of the specific keyword. It also allows city-level location keyword research and export in .CSV format. Really nice keyword analysis tool. It’s really simple keyword research tool. It doesn’t give you that many features and keyword ideas, but it’s ok as a monthly search volume tool and it also shows volume, CPC and value. You can also build your keyword list. AnswerThePublic.com is a very cool website when it comes to keyword ideas. It gives you the suggestions based on the alphabet and it shows them in a diagram. In general, it doesn’t show monthly search volumes but we can fix it for free, so keep reading. Keyword Shitter is a very simple and cool keyword planner alternative. Simply paste your base keyword and get keyword ideas. Awesome things are fields for positive and negative words. By default, it doesn’t give you search volumes, but our fix I mentioned earlier turns this easy tool to really great Google search words tool. You can also download your keywords in a .txt file. It doesn’t show search volumes, but again – we got it. I suggest you installing it right away and you get the desired data automatically. That was 7 free keyword planner tool alternatives plus one free toy to boost them. I got one more awesome tool for you that is paid but definitely worth to check out and get. Feel free to share your experience with these and other keyword planner alternatives in the comment section below as well join my Facebook group here, where I share free tools and where we discuss SEO and online marketing strategies. P.S. 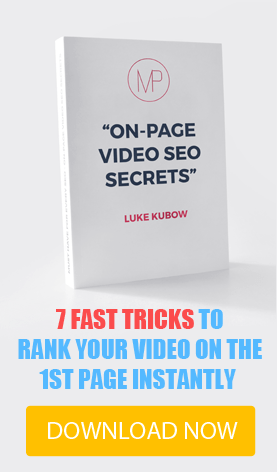 If you liked this article share it with your SEO buddies – I really appreciate it. Really this is very great information. Thanks lot. Great list, keyword supremacy is indeed a super tool. Invested in this last year. 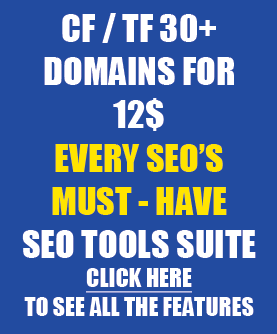 This is a good compilation of Keyword tools online. Thanks for sharing these….Have you tried to evaluate each tool if they have the same result in searching for targeted keyword? I’m not sure what exactly you mean but usually, I just use several tools, including paid ones to find the best keywords and evaluate their search volumes.